Funded by two consecutive Federal Assistance Grants through the United States Department of State (Bureau of Oceans and International Environmental and Scientific Affairs) the goal of these programs is to reduce the use of mercury in the artisanal and small-scale gold mining (ASGM) industry in Peru. While the initial project was examining strategies for reducing the supply of mercury available by accelerating the development of adequate facilities and strategies for interim storage of mercury, the lengthier follow-up project will be focused on supporting Peru’s government agencies to increase transparency, traceability, and control over the elemental mercury handling system through the development of practical policies, regulations, infrastructure and tools for handling, tracking, and securing mercury. The AGC implemented a project in Peru with the support of Global Affairs Canada and in partnership with Red Social to reduce mercury emissions in Peruvian ASGM. 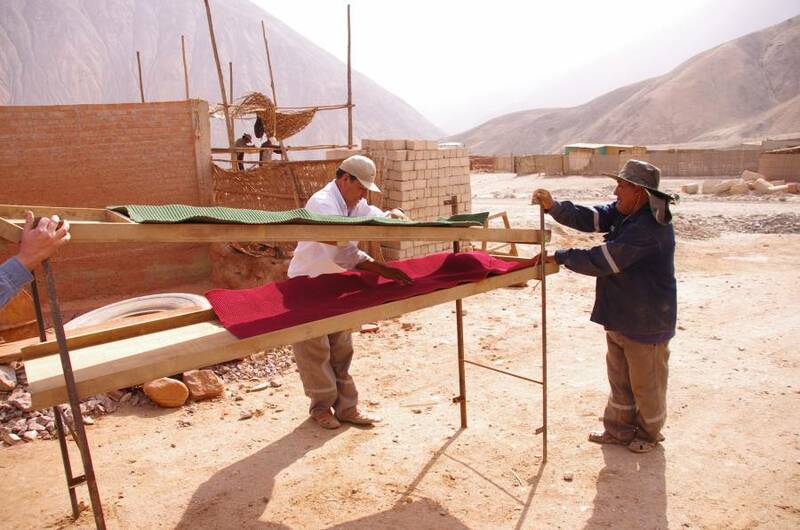 This is a Pilot Project funded by the Government of Canada and supported by the Government of Peru in implementation of Peru’s National Action Plan due to the recent ratification of the Minamata Convention. This project was named: MEJORO (Mejorando la Pequeña Minería Artesanal de oro en el Perú). The Peru project aligns with AGC’s aim of reducing mercury emissions and enhancing ASGM extraction practices around the globe. It tackles the ASGM issue in four regions of Peru through three main pillars: 1) enhancing the practices of miners towards ASGM (technical, environmental, health aReducing the Supply of Mercury Available for use in the Andean Artisanal and Small-scale Gold Mining Sectornd safety, and gender sensitive practices) through the implementation of gravimetric processing systems; 2) support different governmental levels on their understanding of the Minamata Convention and OECD due diligence process, as to its well as providing assistance to its different programs regarding ASM, such as the formalization process for artisanal miners and its environmental monitoring among the most important; and 3) create an efficient supply chain for responsible artisanal gold that allows its tracking from the mines to the international markets to allow the miners access to better prices for their gold. AGC studies indicate that artisanal gold miners recover between 35%-40% of their gold on average using mercury and that because standard gravimetric processes allow around the same percentage of recovery without using mercury, miners are not always eager to try them. Therefore, in order to reduce mercury, but also grab the attention of the miners, this Project is based on the implementation of gravimetric plants with a processing system created by AGC that allow miners recovery up to 70% of gold. This will not only attract miners to the new methods but also constitute the basis for the three pillar aims to be achieved. Presentation slides outlining the project activities are available here. Funded by a Federal Assistance Grant through the United States Department of State (Bureau of Oceans and International Environmental and Scientific Affairs) the goal of the program is to reduce the use of mercury in the artisanal and small-scale gold mining (ASGM) industry in Suriname through the introduction of mobile mercury free processing systems. The project will be implemented in coordination with local educational institutions as a means of capacity building within the country and to ensure sustainability of the results. In 2015 the AGC embarked on a USDoS funded project to improve our understanding of the Surinamese ASGM sector, and to begin to develop potential collaborative models and approaches towards mercury reduction in the country’s widespread alluvial ASGM operations. The AGC project in Suriname reviewed the Surinamese ASGM sector through a combination of stakeholder interviews, literature reviews, and field visits to better understand current realities, mercury usage, and potential for technical interventions. The culmination of this effort has been the production of a Suriname ASGM sector report, completed in collaboration between the AGC and the Paramaribo based consultancy Social Solutions. The report aims to provide the reader with a comprehensive introduction to the ASGM sector, including a legal assessment of the current regulatory framework and formality of the sector, an overview of mining and processing practices currently employed, inventory estimates for ASGM workforce (11,000-15,000), annual gold production (18.9 T), and annual mercury use (63.0 T), and assessment of existing supply chains. Suriname ASGM Sector Report (produced in collaboration between the AGC and Paramaribo based consultancy Social Solutions). The project also assessed the potential for mercury reduction through technical interventions, and found willingness from various stakeholders including miners, government, NGOs and private industry to identify and develop alternatives to mercury use in ASGM. While many groups have interest in achieving this goal, there is need for a coordinated effort to deploy the experience and knowledge of the various groups towards a Suriname specific mercury free solution. Suriname offers an excellent opportunity for the development of a collaborative approach between ASGM and LSM mining operations towards a more responsible gold mining sector as a whole, and is an excellent candidate location to pilot ASGM/LSM collaborative models. Partners: United States Department of State (USDoS). The project was successful in assessing the country’s ASGM sector, and produced a sector overview report aimed to introduce the reader to various aspects of ASGM in Nicaragua. The report includes information on the current mining and processing practices, formal requirements and formalisation process, inventory data for mercury use, gold production and miner populations, and additional information on potential mercury reduction models for the sector. Finally, a detailed regional inventory assessment was conducted for the Chontales Department. A Chontales department inventory report has been produced to highlight and elaborate the inventory process, on the ground realities of ASGM in Chontales, and to serve as an inventory case study for others wishing to develop regional inventory estimates.